II. Formatting Guidelines. Margins. 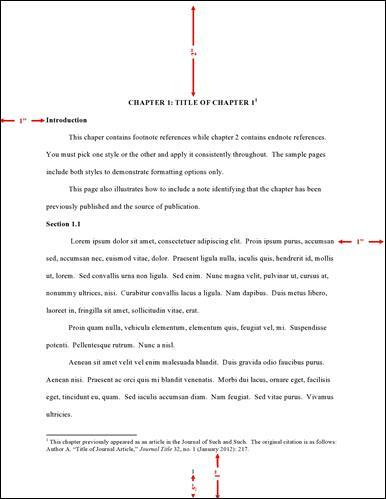 All copies of a thesis or dissertation must have the following uniform margins throughout the entire document: Left: 1″ (or 1 1/4" to ensure sufficient room for binding the work if desired); Right: 1″; Bottom: 1″ (with allowances for page numbers; see section on Pagination); Top: 1″.